The Water Box is played by operating a bellow. By pushing the bellow, users blow air into a jug of water, which produces bubbles. 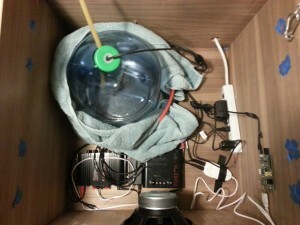 The sound of the bubbles is then picked up by a hydrophone, and processed by the Raspberry Pi. 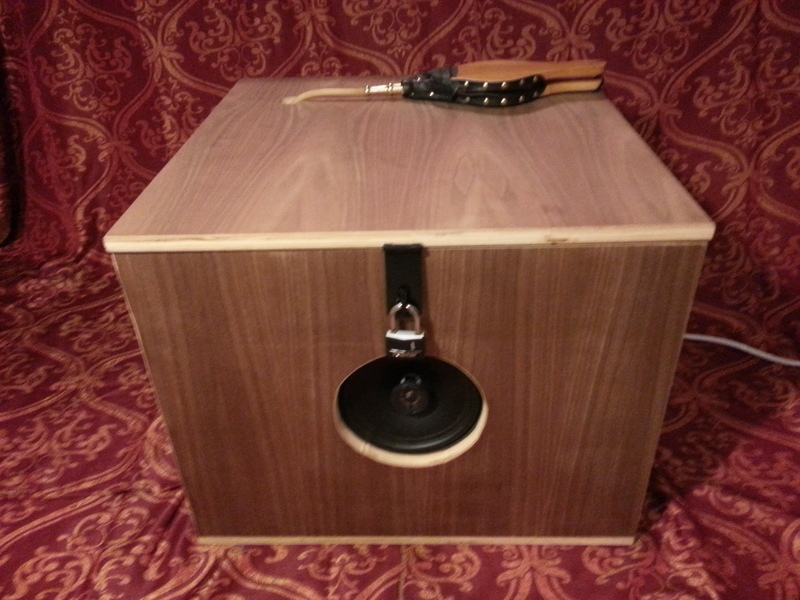 The box uses a hydrophone input which is then passed through a custom comb filter, reverb, and ring modulation. We placed a jug of water inside the box. A silicone tube was run from the bellow into the jug of water. 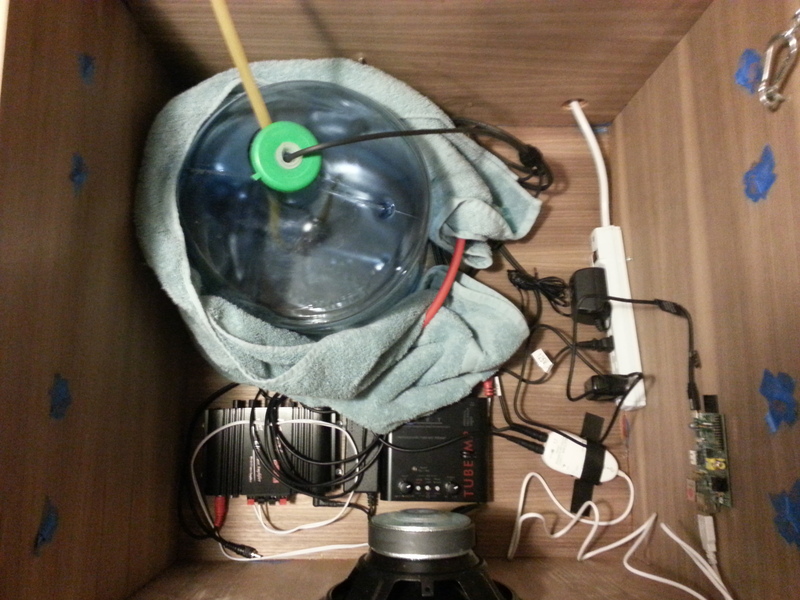 A hydrophone was also fed into the jug. 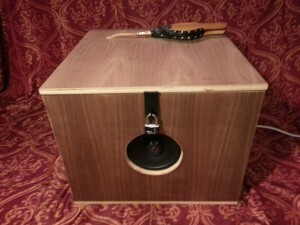 The hydrophone was connected to a pre-amp, the output of which went to the audio interface connected to the Raspberry Pi.